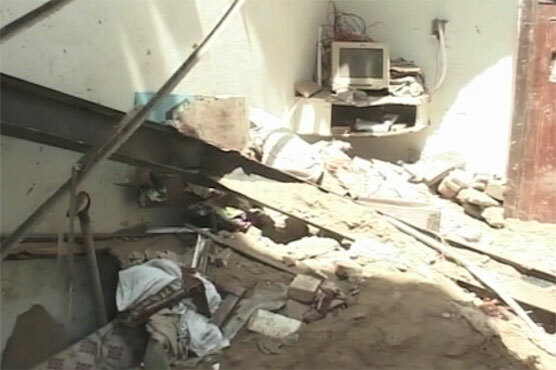 A man died and two others were critically injured when the roof of a shop collapsed in Faisalabad on Tuesday. Rescue sources said that the dilapidated roof of a shop located near Roshanwala bypass in the Faisalabad suddenly came down. Three people present in the shop were buried under the debris among the injured one died and two others were critically wounded. The rescue personnel pulled out the body and wounded persons from the debris and shifted them to the hospital for the medico-legal formalities.